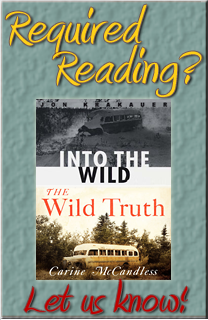 The paperback release of The Wild Truth brought with it a great deal of introspection. Well beyond grateful for the success of the initial publication, my thoughts traveled to all that led me to understand why I needed to write it. Like most people, two decades ago I could not have imagined my life as it is now. When I was twenty-one, muddling through the devastation of my brother’s death, my contributions to the public profile of Chris’ story were few and far between. I am forever indebted to Jon Krakauer for the comfort and trust he brought to our first meeting. Jon’s beautiful, powerful book represented Chris from a vital perspective that I believe no one could have conveyed better. But Into the Wild wasn’t Chris’ entire story, and what remained unsaid lived within me. For years to come, the weight of that responsibility lingered: through the production of Sean Penn’s internationally acclaimed film adaptation, and silently among the constantly arising questions and countless articles that examined Chris’ reasoning and intentions. 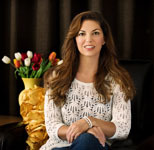 When the blessing of motherhood became part of my life, my perspective changed. My focus was no longer that of a protective, and admittedly compliant, daughter. I needed to prepare for my children’s future with the lessons of my past. My viewpoint broadened when I began to accept invitations to speak at high schools and colleges where Into the Wild was required reading. Sharing the rest of the story had an incredible impact on the students and it made me realize, finally, the necessity to be accountable as Chris’ sister. It took me twenty years to comprehend what a disservice I had done, remaining silent about the tumultuous childhood that pushed Chris to extremes within the solace of nature. 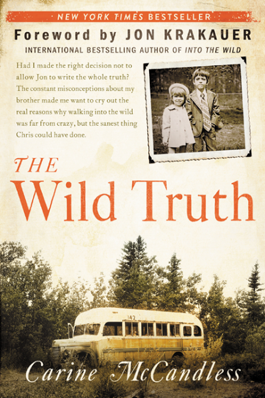 Writing The Wild Truth emboldened me to speak out beyond classrooms and campuses about the devastating effects that domestic violence has on children, families and communities regardless of demographics. Since the book’s publication I’ve listened as victims found their voices for the first time and proclaimed themselves survivors. I’ve seen myself in the young faces of teens reaching out for help, and wondered how Chris’ life could have been different. I’ve cried with those who thanked me for filling in the blanks of his story that brought them so much inspiration. I’ve discovered that the greatest lessons come from that which makes us all human, not from what makes some iconic. A young man of solid convictions, Chris spoke often about the importance of truth. As we grew up, he warned me to be careful of where I turned my attention, advising that the essence of real life and genuine happiness depends on a foundation of honesty and self-awareness. These memories surround me when I hold Chris’ beloved books in my hand and run my fingers across the weathered pages to his own introspective thoughts written in the margins. One in particular resonates. Thank you, brother. For your love. Your strength. And your patience.